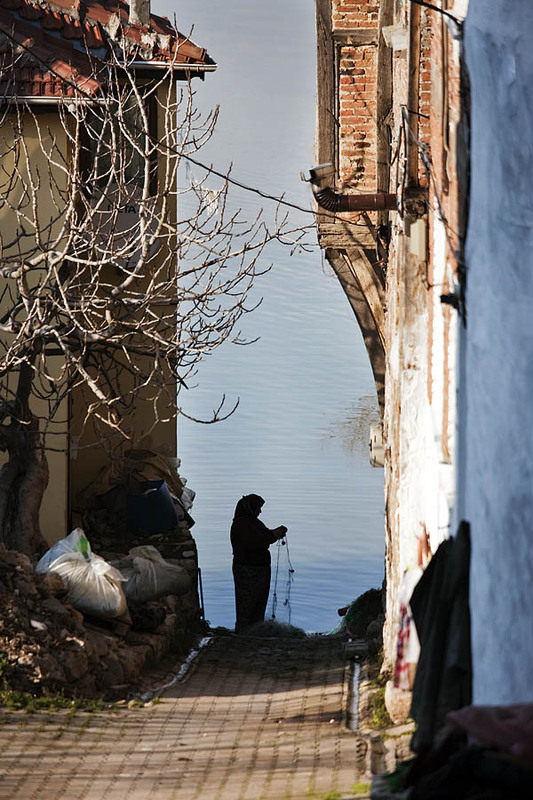 A woman preparing a fishing net in the city of Gölyazi close to Bursa, Turkey. Bright sunshine last Sunday. So we went to this small village west of Bursa for a promenade.